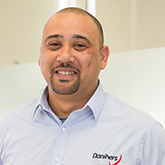 Please welcome Marcus Williams to the Danihers team! Marcus joins us as a Client Service Manager to support our valued clients and ensure our teams are delivering high quality facility services. With more than 15 years in the facilities management industry, Marcus has amassed considerable experience across various disciplines, including operations, site supervision and customer management. Prior to Danihers, he held various client service and supervisor roles as well as managing his own cleaning business, enabling him to develop excellent customer service and mentoring skills. In his spare time, Marcus can be found enjoying time with his five children as well as watching some sport, including football and cricket.